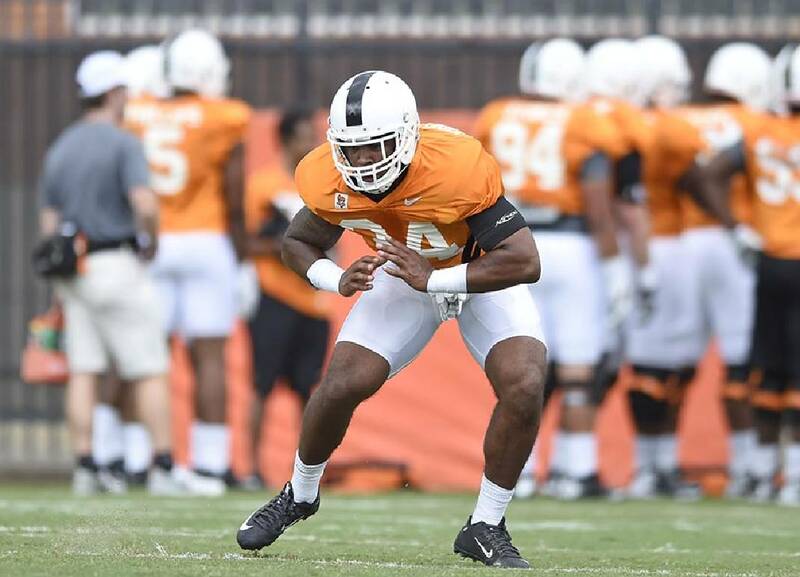 Freshman and former four-star recruit Darrin Kirkland Jr. from Indianapolis is still in the running to take over as the starting middle linebacker for Tennessee. 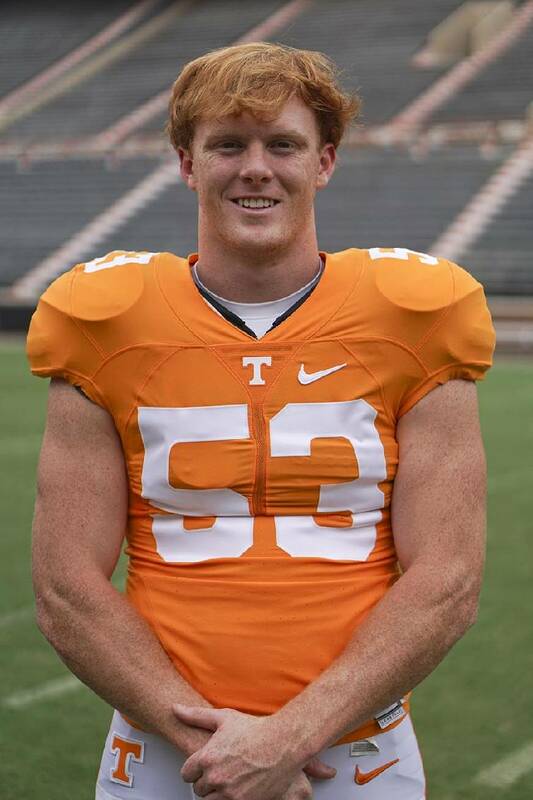 KNOXVILLE — One of the two finalists to be Tennessee's starting middle linebacker is an expected option. The other may be a surprise to most — but not to Jalen Reeves-Maybin, the Volunteers' leading tackler last season. Defensive coordinator John Jancek said following Wednesday's practice that the race to take over in the middle of the Vols' defense is down to walk-on sophomore Colton Jumper, a former Baylor School standout, and freshman Darrin Kirkland Jr., the promising former four-star recruit. Jumper making it this far in the competition may be a surprise, but his teammates and coaches clearly feel differently. "He's physical, he can run, he's smart," Reeves-Maybin said after Tuesday's practice. "He really has all the tools. I've been knowing about Jumper since we were in high school. He graduated the same year I did, and I've been a believer in him since the first time he came in here last spring. "He has all the tools to play linebacker, and he's going to keep competing out, and we'll see who wins the job." Sophomore linebacker Colton Jumper, a standout at Baylor during his high school days, could be starting for Tennessee's defense when the Volunteers open the season next month. Jancek said Kirkland and Jumper have been performing better than Kenny Bynum, the redshirt junior who got most of the first-team reps during the open periods of practice this preseason. "To get three guys reps at this stage of preseason is hard to do," Jancek said. The 6-foot-2, 224-pound Jumper, a two-star recruit in high school, was set to play at Navy in 2013, but doctors discovered he had a kidney condition. After a waiver that would have allowed him to play for the Midshipmen was denied, Jumper spent a postgraduate year at The Hun School in Princeton, N.J. He joined the Vols in spring 2014 and played in one game last season. Jumper is in line for a much bigger role on both defense and special teams this season. "It's the ability to be consistent with run fits," Jancek said. "He can run well, he can make plays in space. He's got a good punch. He's got good instincts, and he's really done a good job learning our system. He's spent countless hours in the film room on his own taking notes and watching video. "All that hard work is paying off. He's really a great example for a lot of players in college football, guys that come as four- and five-stars but lack maybe the maturity or the work ethic that it takes to make yourself a great player. I think Colton is an example of that. He's made himself a very good football player." Kirkland won't make the decision any easier for Tennessee's coaches. The talented 6-foot-1, 224-pounder from Indianapolis has come on strong the past couple of weeks. He has become more comfortable in the defense as the preseason has gone on after he sat out spring practice with a torn pectoral suffered during a winter workout. "He's starting to play a lot more confident in his game," Reeves-Maybin said. "At first he was just running around and making plays, but now I can tell he knows his assignments. He's fitting his plays up right and still flying around making plays. He definitely looks a lot better than he did the first couple of days." Whoever wins the job will have big shoes to fill. A.J. Johnson was Tennessee's starting middle linebacker for three years, and the Vols struggled to replace their second-leading all-time tackler when he was suspended late last season. The transition was never going to be seamless. There's confidence in Jumper or Kirkland being able to fill the void well, though. "It's a little different, but I feel like our defense is a lot more experienced as a whole," Reeves-Maybin said. "That position isn't focused on as much as it would have been in the past. I don't think we're missing a beat. "A.J. made a lot of tackles. It's hard to find anybody that can match what he brought in terms of energy and stuff, but I definitely think we'll pick up right where we left off, and we'll be a great defense." Coleman Thomas spent most of the preseason working at right tackle, but the sophomore got more work at center Wednesday. In the first offensive line group, Brett Kendrick slid the spot vacated by Thomas at right tackle. Dylan Wiesman continued to get looks with the first group.
' Tennessee's first-team kickoff coverage unit on Wednesday: Defensive backs Evan Berry, Todd Kelly Jr., Max Arnold and Micah Abernathy; linebackers Jumper, Reeves-Maybin, Kirkland and Chris Weatherd; tight end Jakob Johnson, a converted linebacker; wide receiver Jauan Jennings; and kicker Aaron Medley.
' The second-team kickoff unit: Defensive backs Malik Foreman, Darrell Miller and Emmanuel Moseley; linebackers Bynum, Elliott Berry, Dillon Bates, Austin Smith, and Quart'e Sapp; running backs John Kelly and Ralph David Abernathy IV; and kicker George Bullock.